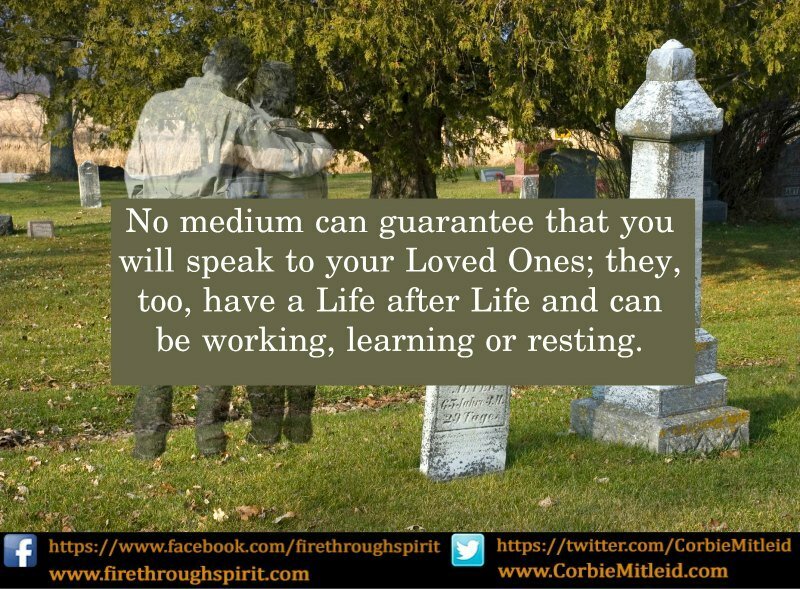 Psychic Medium & Tarot | Divination | Mediumship | What Are the Rules About Talking To Dead People? What Are The Rules About Talking To Dead People? 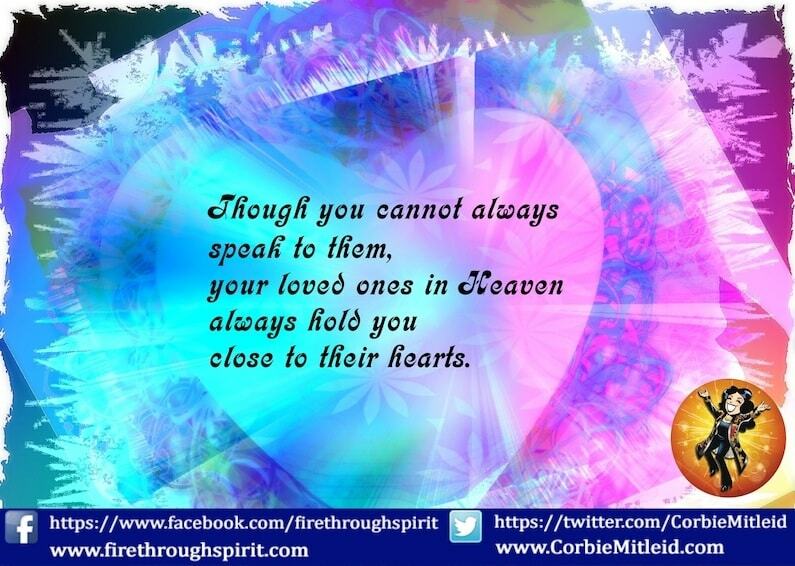 I was interested in talking to someone that has passed away that is important to me. I tried a medium in Sacramento but she would not verify any information on the individual so I can know it is real. She even said the individual was with us at that time, so I did not set up an appointment with her. What type of medium are you, and can you have clear vivid conversations with the astral/celestial spirits you are talking to? Daniel, the first thing you need to know about ANY psychic medium is that none of us are 100% accurate, nor are we “dial-a-dead” — there are occasions and situations where the departed spirit simply isn’t around to talk to. We don’t stop ‘doing’ when we die: there’s a lot to do outside the body. We have lessons to learn, places to go, jobs to do. My own father, a marvelous cardiologist who died in 2001, is still doing medical consulting with certain of my intuitive colleagues! one man showed up for my client, his son, in a tuxedo with a big red bow tie — the tie had been a family joke, and was given to the son posthumously. one man came in and immediately “saluted” his daughter, who was my client. Unbeknownst to me, she was in the Royal Canadian Mounted Police. one woman showed up for her former partner, and insisted that I say a particular phrase to my client which I would have NEVER said (it was less than polite!) — it turned out to be the deceased person’s customary greeting when she had been away. At the same time, I would caution you against coming in with a specific set of criteria or keys you MUST receive to believe it’s your person. That sets it up to be a “prove it to me” parlor game, and is never successful. Example: my father’s tag line, whenever he called the youngest generation on the phone, was always “This…is the Mysterious Stranger!” And though I’ve spoken to him dozens of times since his death through my own abilities and those of others, he has never come in with that most beloved and amusing of phrases. Lots of other things were on target — but never that. One last caveat, at least with working with me: if you don’t remember your person — say they died when you were two, or in some cases even before you were born — it’s probably not going to be satisfactory for you because you won’t have any visceral, “gut” memories to draw on. I’m very picky about information regarding dead people, because it’s too easy to get bamboozled, so I insist on having information that you can recall from personal experience. 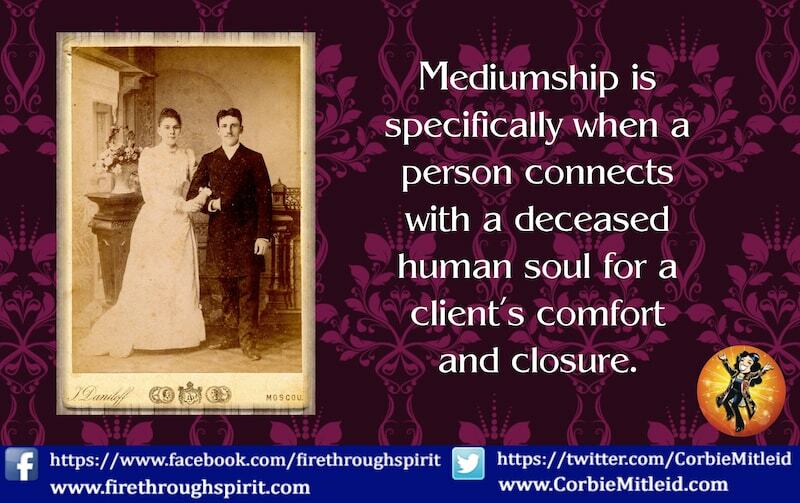 To find a good medium, ask to see the medium’s testimonials or for references to call. If someone’s truly good, the “word on the street” will let you know. Got a question about metaphysics, spirituality or how it all works? 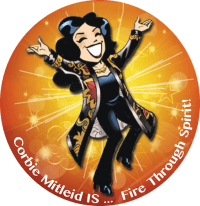 Write to us at ASK CORBIE!